What does that tool do? come in unique shapes for a variety of different textures in your art. water-miscible oils. Because they are heat-resistant to 450 °F, they excel with encaustics. 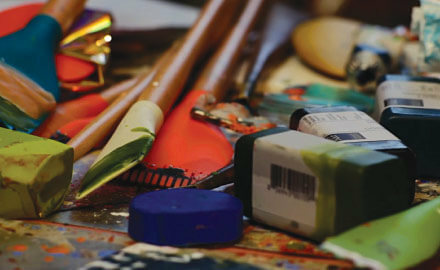 Artists are using them with plaster, clay, surface coating, food crafting, and much more. Because of their ergonomic design, Catalyst™ Wedges and Blades are comfortable and easy to grip. 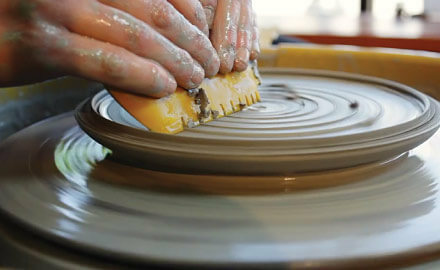 This helps when you need to apply just the right amount of pressure to your ceramic project. Catalyst™ Blades and Wedges are heat resistant to 450°F which makes them the ideal tool for encaustics. 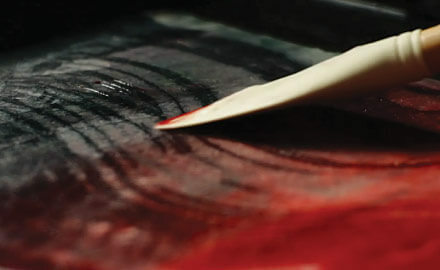 Made of flexible silicone and made in a variety of shapes, these tools work well not only for blending encaustic paint on your heated palette, they are ideal for creating unique textures in your finished artwork. Catalyst™ tools are great for designing interesting textures with wax resist. A unique tool for wax application, you can make marks confidently either directly on your substrate or hot palette. Because the tools are made of heat resistant silicone, cooled wax peels right off, making cleanup a snap. 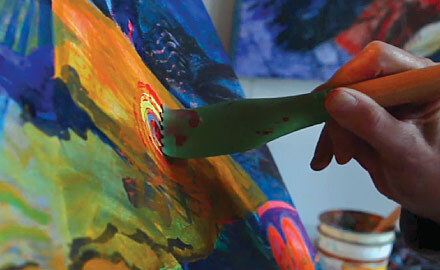 Working with heavy-body paints and media is where Catalyst™ Blades, Wedges, and Polytip Brushes really shine. There are endless uses for Catalyst™ tools with heavy body paints including mixing media and color of different viscosities, laying down thick layers of paint with a variety of textures, embedding objects, and collage can all be done with efficiency and ease. 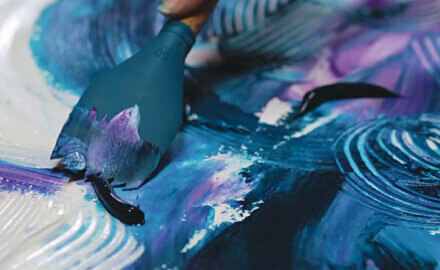 Catalyst™ tools are easy to grab and experiment with when painting with fluid acrylics. Made of flexible silicone, scraping with a Catalyst™ Blade or Wedge tool instead of a metal palette knife eliminates any concern about marring your substrates. With six different profiles, Catalyst™ tools bring a wide variety of marks to your repertoire. With plenty of spring and resilience, Catalyst™ Polytip Bristle Brush holds paint, blends well, and keeps its shape when loaded with paint. Since each filament has two to three flags, a first for artist brushes, Catalyst™ replicates the finest natural bristle and has real integrity in water. 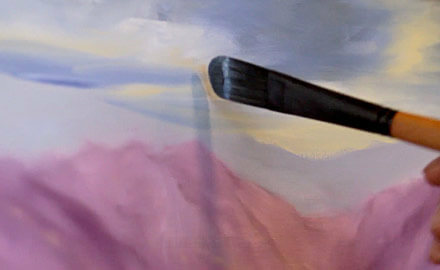 Suddenly, you can paint looser and more direct without laboring over or reworking and never worry that the water will cause your brush hair to swell and lose its shape. Monoprinting takes on a new dimension when you use Catalyst™ tools. The variety of shapes and sizes of blades and wedges will add as much texture as you choose. Because the tools clean so quickly and easily, you can make both positive and negative marks with speed and little interruption to your creative flow. From sauté pan to plate, the Catalyst™ Blades and Wedges are at home in the kitchen. Made from a new flexible silicone that is resistant to heat up to 450°F, our uniquely shaped tools inspire chefs and sous chefs to cook and present food in new and inventive ways.